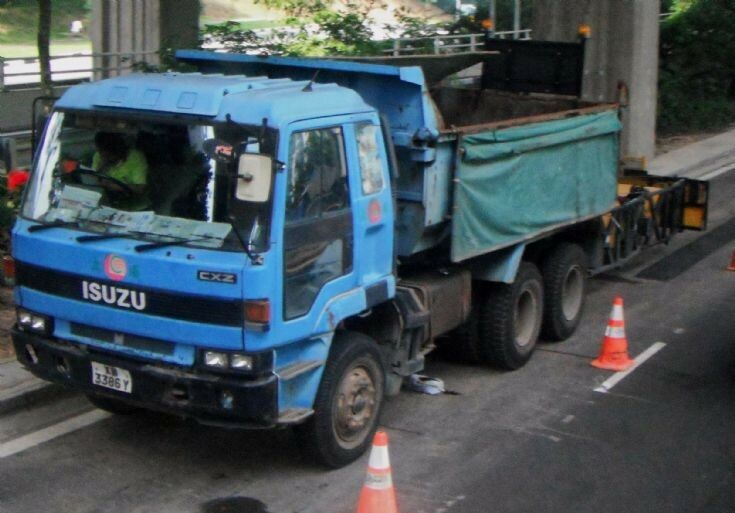 This old Isuzu Giga CXZ 71JD dump truck with a road diversion bumper fitted at the rear end of the truck from Ley Choon Constructions and Engineering Pte Ltd is spotted here parking by the roadside of Telok Blangah Road in Singapore. It is parking by the roadside where an underground pipe laying work is being carried out so as to prevent passing by vehicles from going near to the area. This old truck has its livery different from its counterparts of the new fleets. See picture #6890 and picture #7009. Photo taken in May 2011.